Happy Spring! Here’s another great post from fellow Japan resident and foodie friend Courtney. Spring has finally arrived in Japan signaling the end to a particularly brutal winter this year. As if trying to persuade spring to come earlier, everyone waits anxiously for sakura, whether it’s the actual cherry blossoms blooming or the arrival of sakura-flavored treats. Most years, the sakura treats arrive far before the first bloom on the cherry blossom tree but usually cause quite a stir, as everyone devours the treats in hope that spring will quickly appear. The Japanese enjoy celebrating each season with a selection of seasonal treats, and spring is no exception. Everywhere turns a shade of pink from high-end department stores to convenience stores and each shop rolls out an elaborate line of sakura-themed items. Even foreign companies like Starbucks and McDonald’s have jumped on the seasonal boat and serve up sakura flavored drinks and sweets, and a sakura burger respectively. Some are delicious and some leave much to be desired! The actual sakura flavor is hard to pinpoint. Many of the items that use actual cherry blossoms or leaves are pickled so not exactly overly sweet (think salty-sweet). For the sweet items, many have strawberries added making it hard to distinguish between the cherry blossom and strawberry flavors. 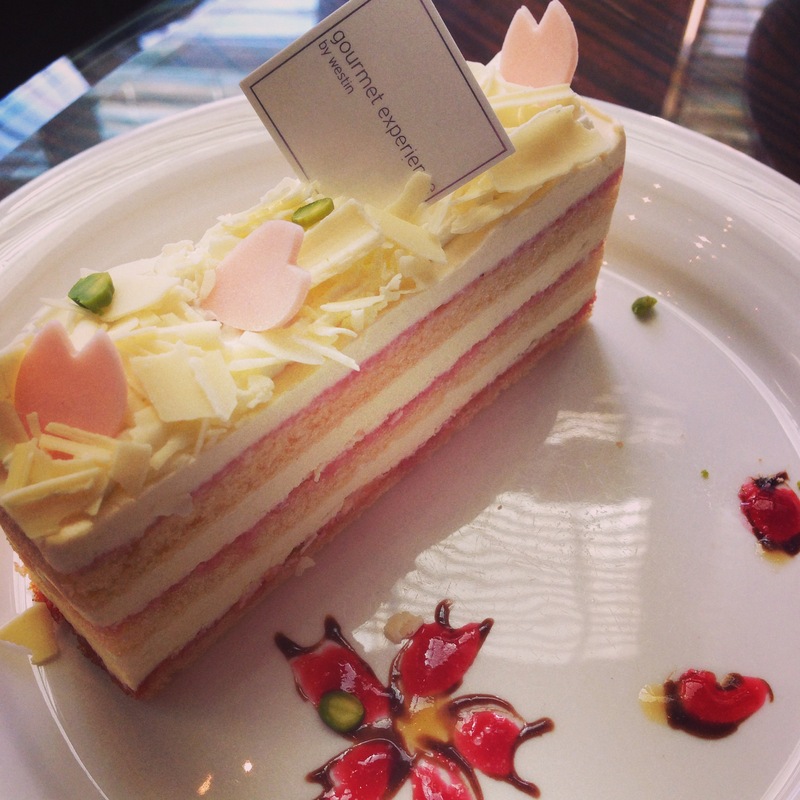 Then you find chocolates, pastries, and cakes that have no real cherry blossom flavoring; just pink and sometimes mimicking the cherry blossom design. 1. Sakura mochi – This wagashi, traditional Japanese sweet, is served on Hina-Matsuri, or Girl’s Day, in Japan. 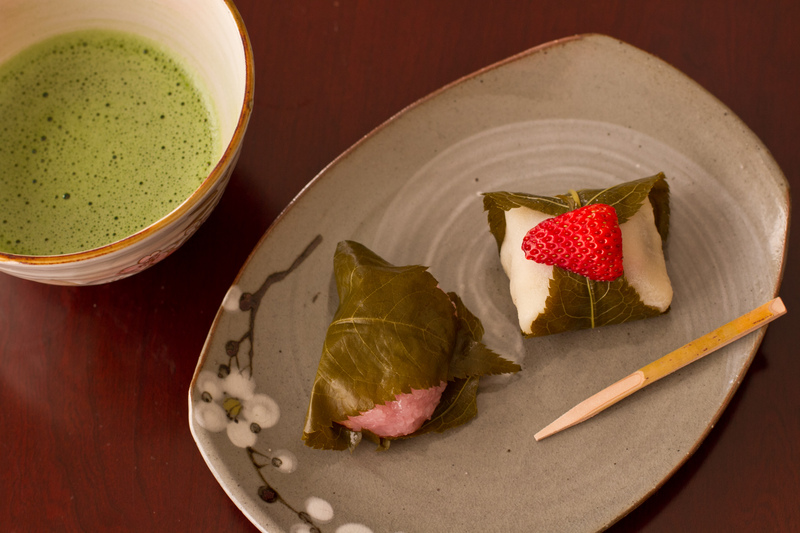 It has a sweet bean filling that’s wrapped in a pink mochi exterior then covered by a pickled sakura leaf. If the leaf is too salty for you, you can remove it and just eat the sweet bean-filled mochi. Sakura mochi can be found almost everywhere from large grocery stores to wagashi shops from late winter through spring. Note: If you happen to be in Kyoto during the spring time, seek out their traditional sweet that looks similar to triangle raviolis called yatsuhashi. Sakura yatsuhashi contains a filling of pickled cherry blossoms and leaves mixed with the sweet bean paste. These are one of my favorite seasonal treats. 2. 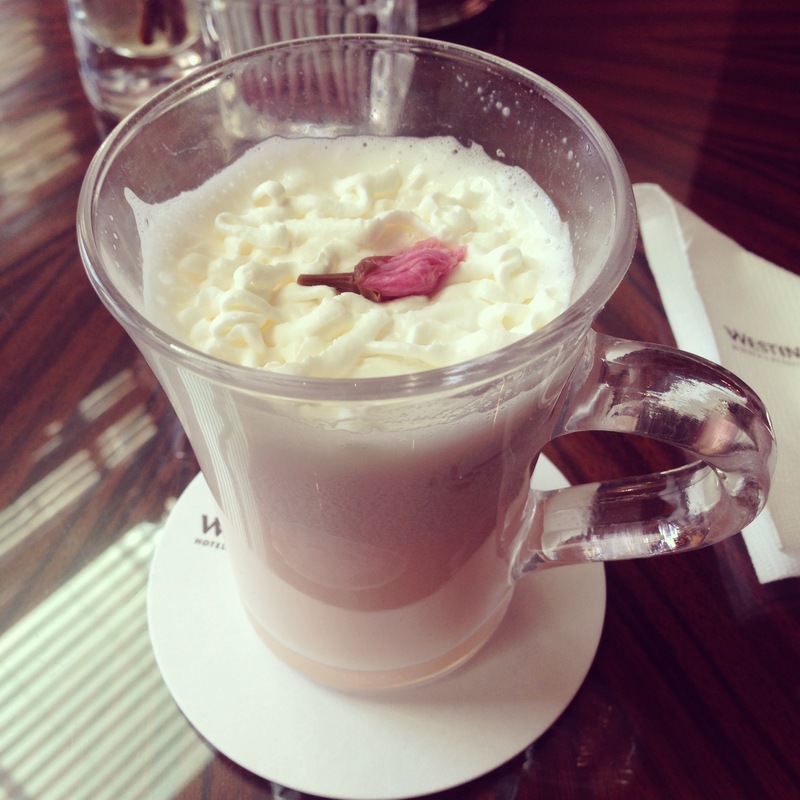 Sakura latte – Don’t let the name fool you, there is usually no coffee involved in this drink (think steamer). I’ve tried numerous variations of this drink and most have been enjoyable. Starbucks tends to be the sweetest, and some can be downright salty since they use actual pickled cherry blossoms, but most fall in the middle. 3. Sakura Kit Kat – Ok, I’ll admit that I have a slight Kit Kat obsession. Why are Kit Kats so boring in the States? But back to sakura, Kit Kat offers a sakura matcha latte variety year-round (typically found at airports or bullet train stations) that is one of the best. A perfect balance of sweet and slight bitterness from the matcha green tea. It makes the perfect gift if you can keep from eating them by the time you get home! 4. Sakura chiffon cakes, ice cream, and donuts – As I mentioned, everywhere churns out some sort of sweet related to cherry blossom season. It’s become my personal mission to try as many as possible. I’ve met few sakura sweets that I did not like so take a chance and see what you think. For those interested in making sakura baked goods at home, you will need to purchase some specialty items off Amazon. Items available on the website are pickled cherry blossoms, pickled sakura leaves, sakura-flavored bean paste, sakura jam and more. To get you started on your sakura culinary adventure, this website offers a wonderful list of sakura-flavored recipes from savory to sweet. I’ve slowly been working my way through this list. *Cookpad is a Japanese website that has recently begun an English version of it. 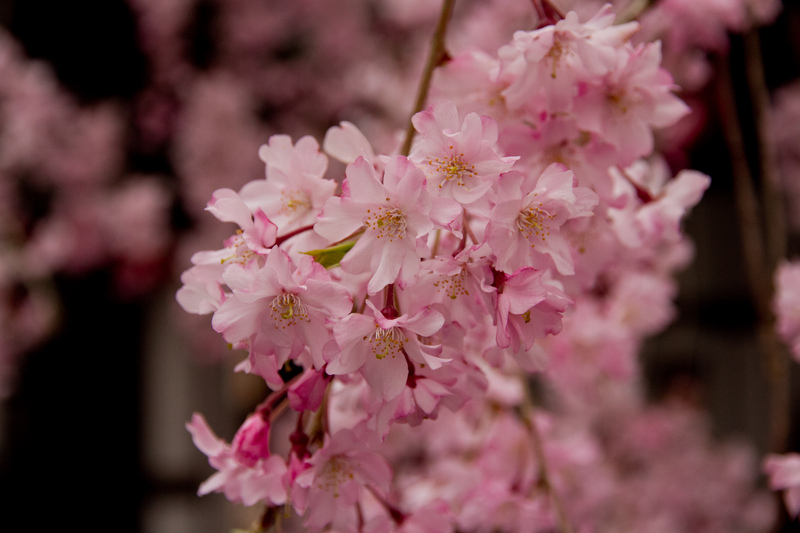 You can find numerous traditional Japanese recipes so feel free to search for sakura recipes. You can find anything from chiffon cake, mochi, bread, and cookie recipes to more savory dishes such as sakura-flavored rice. Thanks for the link to my recipe! Love learning about traditional foods from other countries. TFS! The sakura burger sounds interesting… bet my boys would even go for those! 😉 Namaste!